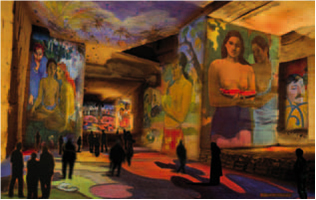 If you are visiting the South of France in the near future a must see is Carrieres de Lumieres-Les Baux. 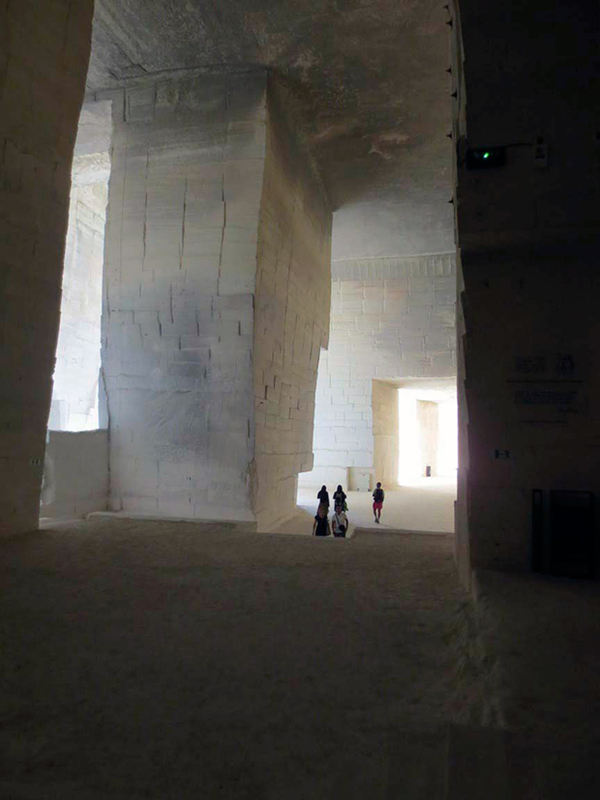 This is a new cultural program focused on art history using light, technology, including surround sound and 70 projectors illuminating art and video on the floors, walls and ceilings of this amazing quarry. 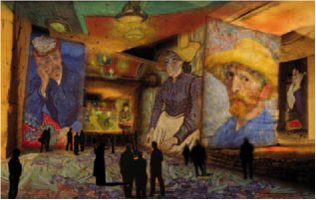 Through an amazing and unique audiovisual, the visitor will discover the bonds between Paul Gauguin and Vincent Van Gogh and their very different ways to use the color. The show evokes two routes with many similarities. The two artists began painting landscapes in the North of France, before joining the South which will bring an explosion of colors later inspired by the Islands for Gauguin and the south of France for Van Gogh. Between each show visitors can take advantage of the latest creation of Gianfranco Iannuzzi : “Macrocosmos, Microcosmos”. This show reveals a free interpretation of a journey in the elements and material. Designed around the color and echoing the show “Gauguin, Van Gogh, Painters of Color”.